A solid corporate communications strategy is the cornerstone of any successful company. It's also one of the things that modern businesses struggle with perhaps more than anything else. Enhancing communication in an organization can be a time-consuming, often frustrating process, and it's something that management feels that they simply don't have the time to devote to. Once communication skills within a company begin to slide, things can go south more quickly than most people would like to admit. One of the first steps towards improving your corporate communications strategy within your organization is gaining a solid understanding as to why it's important in the first place. The following are just a handful of reasons why effort should be put into streamlining communication, all of which can make a huge difference in the end. The ideas and solutions that come out of your business are what makes everything that you do possible in the first place. Great ideas don't come without great communication skills, however, which get overlooked far more often in today's world than would be preferable for most CEOs. When managerial staff put a fair amount of effort into improving corporate communication, better ideas and solutions begin to come into play, many of which may lead to the creation of innovative products and services. Morale is everything in an organization that focuses on moving forward, and this has been the case throughout the entire history of business. Keeping morale high among one's employees isn't always as easy as most people would like, however, often requiring constant work and not always offering a clear view of what may happen in the future. Isolation can lead to decreased morale, which is why improving corporate communication can also serve as a method for improving employees' morale. The productivity levels of employees can determine the amount of success your business may see. In this regard, you should always work towards creating a work environment that fosters productivity, no matter how much effort it may take to do so. Many people don't realize that low levels of productivity are often a result of poor communication and poor communication tools. As a result, they don't know how to fix the problem. Improve communication, and you'll also be improving productivity. Have you ever been 70% into a project only to find out that something has been miscommunicated along the way and that you'd have to start again from scratch? It happens all too commonly, especially in today's world of information overload. Avoiding roadblocks can be difficult, as it's not always possible to see them coming. This being said, you can effectively keep roadblocks at bay by working towards improved corporate communication amongst you and your staff, which means your projects will become that much more streamlined. It can sometimes be frustrating trying to come up with an approach to dealing with an employee who feels disengaged from his or her work. While there is no one all-encompassing way to turn engagement levels in your organization around, there are certainly a number of things that can help, and one of them is focusing on your corporate communications strategy. 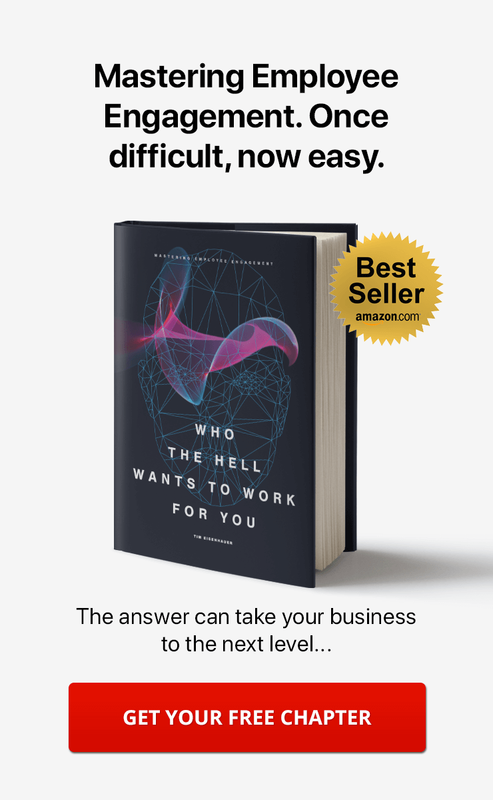 An employee that is communicating with his colleagues and actively working to solve problems will be far more engaged than one who is off in his own world, and the more you can do to help facilitate change, the better. Improve Your Corporate Communications Strategy with Social Intranet Software. 4 Must Have Communication Tools. When people set out to improve communication within their organization, they often find it difficult to get started. 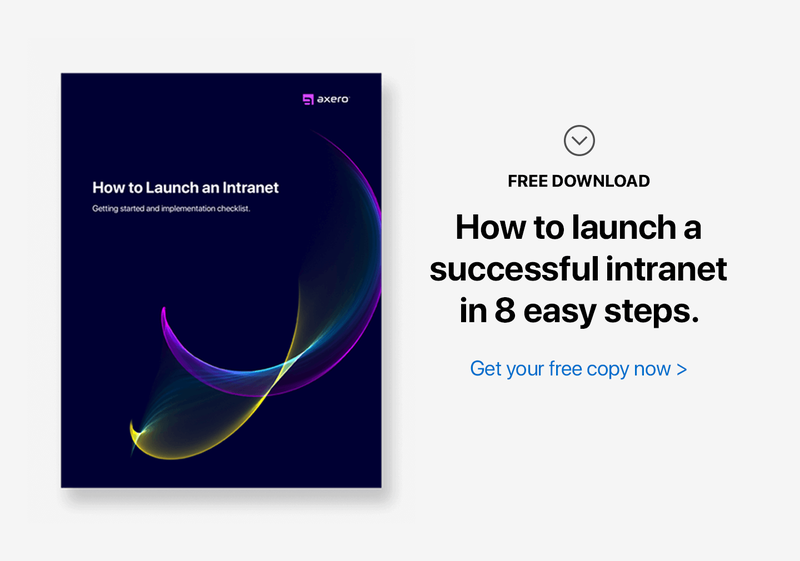 There are a number of ways to work towards pushing corporate communication in the right direction, but nothing compares to the success achieved by implementing a social intranet software platform like Communifire. Social intranet software allows you to communicate in real time with your staff, regardless of where people are located. Think social media for business, and you'll get an idea as to where software such as Communifire can take your organization. Central to Communifire are its communication tools. There are a number of different ways to communicate with employees and colleagues, via Communifire, some of which can even serve to replace email and other commonly used vehicles for communication. Understanding what sets Communfire apart from other software can help to give you an idea of how much it can potentially do for your business. Each of the following features help to make the experience of communicating with Communifire simple, streamlined and highly intuitive. For years, businesses and individuals have used email as their primary method of communicating with one another virtually. Email is quickly fading into the past, however, as intranet chat and private messaging are taking over. Communifire offers a robust platform that allows you to send private messages to groups or individuals with ease, effectively replacing the need to use email altogether for communicating with your team. Best of all, your conversations will be archived and stored in an organized fashion, letting you search for and retrieve old conversations that may be of use down the road. When all virtual corporate communication is done via social intranet software, you'll never have to worry about information or messages going missing the way you might if you were to utilize multiple platforms. A lot of people overlook the importance of communication tools when it comes to scheduling meetings and events. Everyone has been in a situation where either they themselves or a colleague has missed a meeting, however, and the reason for these issues can often be found in poor communication. Communicating meeting times can be exceptionally hard when they're scheduled regularly, which is why you need a strong virtual calendar system on your side. Intranet calendars in Communifire make scheduling a veritable breeze, and you'll never have to worry about miscommunicating information. You can schedule events and invite other members of your organization to join, which puts everyone on the same page. Individual private calendars can house personal reminders, while team-related events can be shared with your colleagues, causing any confusing overlap to disappear. Those who participated in the early days of the Internet likely remember how often forums and discussion groups were used as vehicles for communication. The platform has remained important and can still be found widely used across the web. It should stand to reason, then, that intranet discussion forums can be used to great effect in a business setting, yet many companies have yet to embrace this concept. With Communifire, participating in and creating discussions is a breeze. You can browse forums for information, spark a conversation over something that might benefit your organization or simply create a space specifically used for helping employees to get to know one another better. When properly utilized, forums and discussion groups can have a dramatic impact on improving communication within your company. No matter how well you run your organization, issues should be expected to pop up from time to time. Being able to open up cases and track issues is essential to handling problems in as swift a manner as possible, and no organization should expect to move forward if they ignore this all-important rule. When attempting to diffuse an issue, communication tools are important. Communifire's case and issue tracking software that allows you and your employees to not only always be aware of problems that require solving within your company, but also lets people bounce ideas off of one another that could potentially lead to a swift solution. The system can also be used as a tool for customer support, allowing you to offer personalized customer service to your audience in ways that might not otherwise be possible without the help of Communifire. Implement Social Intranet Software for Your Corporate Communications Strategy. 9 Tips & Ideas. Whenever you implement a new type of software, getting started can take a little bit of time. Internal communications software like Communifire is already exceptionally easy to use, but there are a number of workflow tips that can help you to get the most out of your experience. Keep the following in mind, and you'll increase your chances of fostering an environment for streamlined corporate communications. Implementation of communication tools should be a streamlined process that does nothing to disrupt the workings of a business, but this is unfortunately not always the case. Companies that don't plan ahead and make drastic changes without even alerting their employees ahead of time often end up running into a variety of obstacles, some of which can be crippling. 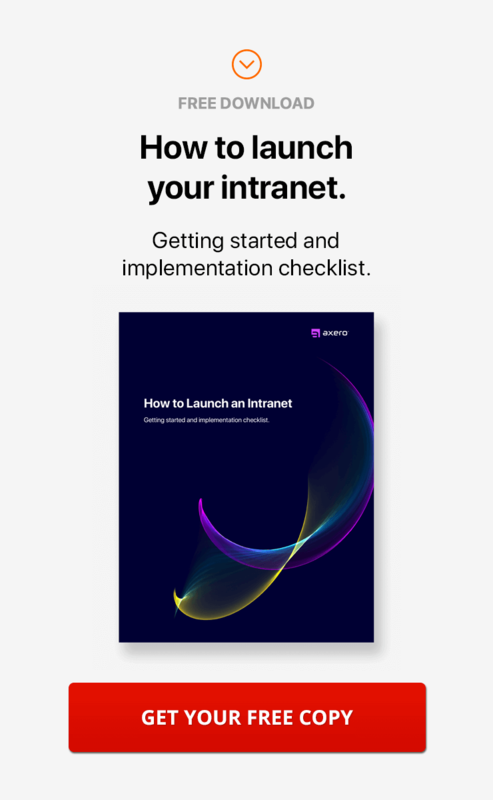 Designing a rollout plan and informing your employees well in advance is essential to making a smooth transition, and it doesn't have to be complicated. Another common mistake made by businesses that implement communication tools is not devoting enough time to training staff. In order to get the most out of Communifire, your staff needs to have a good handle on how to use the software before jumping in without guidance. Since the software is already very easy to use, you don't have to worry about setting aside countless hours to train your staff. Teaching them the basics, however, will serve your organization well. Creating a daily routine is easy, and you can tailor it to fit your individual needs and those of your staff. Make a point to log into Communifire as soon as you start your computer, and set reminders at first to check-in with the system from time to time throughout the day should you log out. It doesn't take long for a routine to become habitual, so long as you remain consistent. One of the key features of Communifire is the ability to create unique online workspaces within the virtual community for teams, projects and discussion groups. Spaces are isolated from the community at large, allowing you and your employees to upload documents, create discussions, communicate in real time and more without having to worry about dealing with information overlap. When spaces are put to work properly, they can be very powerful. Getting a social community off the ground can take a bit of time and doesn't always happen overnight. CEOs and managers should take time to do their part in kickstarting the community by encouraging employees to start discussions within Communifire. 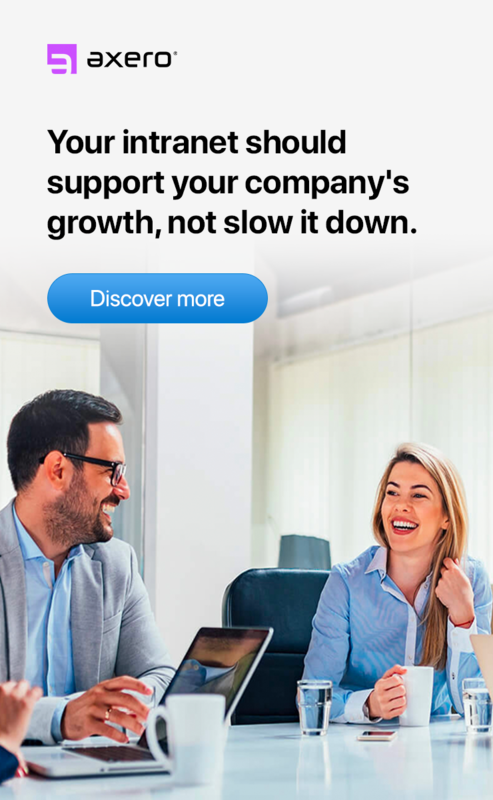 Discussions can easily be started from the dropdown menu and will help to add to your internal knowledgebase, not to mention push corporate communication in a forward direction. Communifire offers a robust browsing tool that makes careening through your virtual community a breeze, allowing you to understand how things are organized and where they're located. The more you get used to social intranet software, the easier it will become to use. Gamification is one of the hottest trends in modern business, and the effects it can have on your organization should not be ignored. When you add social intranet software to the equation, gamification becomes easier than ever. You can assign a system that will allow users to accumulate points for creating wikis, handling tasks and whatever else you choose. Employees can then turn their points in for rewards, such as a paid day off or tickets to a local sports game. Intranet gamification is an excellent, fun way to motivate your employees. One of the perks of using social intranet software is that you can create a content hierarchy that focus on putting the most popular files, documents, blogs and wikis at the top of the list. In Communifire, content can be rated and "liked," which will help to set highly important articles and documentation apart from the crowd. Encouraging your employees to use these functions as often as possible will help to keep your virtual community organized and ready for streamlined browsing. Sometimes, it can be helpful to get a bit of a refresher before setting out to tackle a big project. Communifire's "how-to" videos are extremely helpful when confusion begins to set in, and they break down common processes in a way that is easy for those who are new to the software to understand. Videos are always there when you need them, ensuring you're never left without a solution to the issue at hand. When you use Communifire as your business's platform for improving your corporate communications strategy, things simply start to "work." Take the time to focus on proper implementation, encourage your staff to contribute to the community, and watch as communication improves tenfold.